This one year diploma in fashion design is recognized by university. The course aims to introduce the students to the basic modules of design, pattern making and grading techniques , garment construction, computer graphics for fashion design, practical projects and portfolio development. The knowledge of textile science enhances the students strength on the different types of fabrics – yarns used for the development of the garments. Industrial visits are also planned to give the first feel of the apparel industry to the students. The advance diploma in the year two aims at the professional , technical and creative design training to the students under the expertise of the faculty. The advanced Fashion illustrations, textile printing, screen printing, retail marketing skills, advance CAD designing on different software, advance women's wear projects, men's and kid's wear garment projects, portfolio development. The students undergo the compulsory 1 month industry internship to nourish themselves with the industrial working conditions. The final garment collection is made for the annual Fashion show or annual exhibition. 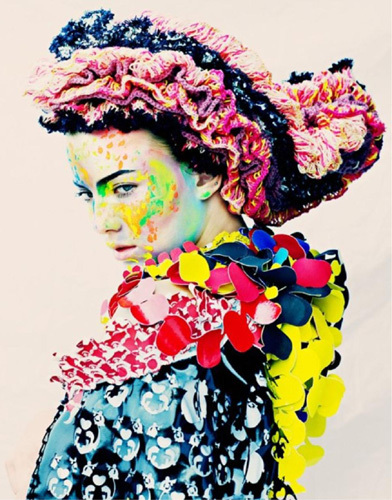 Year 1: The 3 year BSC Degree FASHION DESIGN course is developed and recognized by the UGC DEC approved University. In year one, the students will learn basic fundamental of fashion design, history of fashion,elements of design,basic fundamentals of computers, fashion communication. Pattern making and stitching theory & practical projects,fashion illustration,introduction to textile fabrics–yarns.The students also experience industry xposure, field trips, market survey's under the expert guidance of the faculty.The aim is to lay the strong foundation of the design students in the level one of the degree course. Year 2: The year second aims at infusing the advance level training to the students in pattern making and drafting techniques, garment construction with the projects,pattern making and draping techniques, fabric formation and processing, customer service management, theory and practical projects in surface ornamentation, import and export documentation, concept of e-commerce, management accounting. The level two of the BSC Degree course provides with the much developed exposure to the practical projects, industry visits, market or brands exposure. Year 3: The year third and the final year aims to develop the portfolio and the garment collections for the exhibition or fashion show along with the study of quality control, advance pattern making and fabric cutting, apparel merchandising, advance CAD designing, fashion marketing and advertising, entrepreneurship development and enviournmental studies.The students also undergo the industrial internship which provides them with the relevant work experience for their future career. NOTE: The lateral entry admissions to the year 2nd of the BSC degree in Fashion Design are also applicable to the students who have done 10+2 plus diploma in fashion design/ interior design from the recognized university or Polytechnic institute.The lateral entry admissions, Diploma and the BSC Degree is available through UGC DEC recognized University. Year 1: The programme is recognized by the UGC DEC Approved University. The year one of the post graduate diploma or the MSC Degree FD, aims to introduce the basic and advance aspects of fashion design, fashion sketching and illustration, garment construction, textile studies, CAD designing projects, portfolio development and Viva Voce exposure to the students. The students are also exposed to various industry visits, seminars by experts, market exposure. Year 2: The level two of the MSC Degree in FD aims to develop the all round knowledge of the student in the apparel industry by covering the basic knowledge in knitting technology, accessories and embellishments designing, Costumes and apparel industry, fashion communication and Visual Merchandising, Practical projects, Portfolio development in advance level. The level two includes the industry internship of 6-8 weeks in which student gets practical experience. NOTE: The lateral entry admissions to the year 2nd of the MSC Degree in Fashion Design is also applicable to the students who have done graduation plus PG diploma in fashion design of min. one year duration. Year 1: The programme is recognized by the UGC DEC Approved University.The level one of the MBA fashion Design management aims to impart the practical and theoretical subjects in management process and behavior, managerial, economics, accounting for managers, business enviournment, business law, managerial communication, Computer applications in management. The course helps the students to develop the skills of the business management level required in running the apparel business. The exposure to the industry, seminars, guest lecture helps the students to attain different exposure at PIFT. Year 2: The level two of the MBA course provides the technical skills in human resource management, entrepreneurship development, principles and elements of design,garment construction,accessory designing, costumes and apparel industry, fashion communication and Visual merchandising,project work .Market study, industry internship training will be part of the level two for the MBA programme. © 2016 - 2019 Pinnacle Institute of Fashion Technology. All Rights Reserved.